Fitness trackers have become highly popular in recent years, letting active users get more from their exercise routine by providing detailed real-time information during workouts. One of our favorite makers of these products is Garmin, which offers a wide lineup of popular and highly rated activity-tracking wearables. If you’ve been looking for an inexpensive way to enhance your exercise regimen with a fitness tracker, then the Garmin Vivofit 2 is now on sale for just $59 on Amazon. 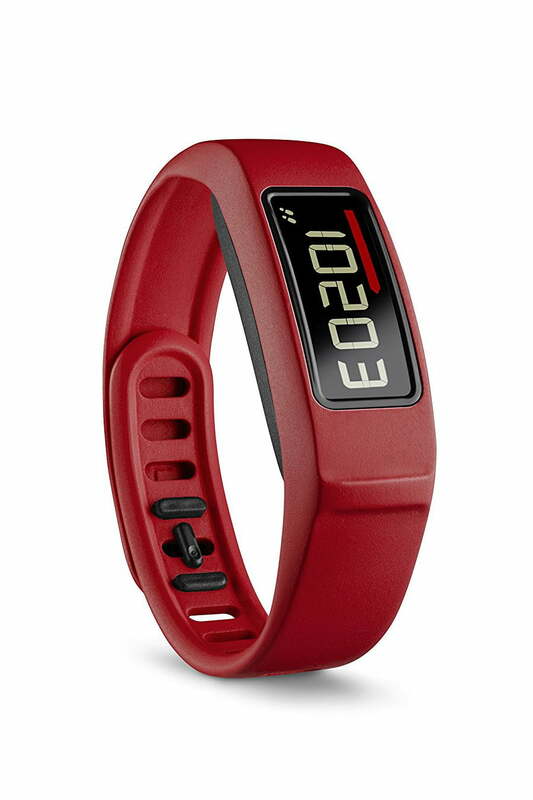 The Vivofit 2 records various stats including distance, calories burned, heart rate, and activity time, displaying them on the large LCD screen for a real-time readout at a glance. The Bluetooth-compatible wearable can automatically connect to your computer or mobile devices, uploading data to your Garmin profile for detailed activity tracking over time. Garmin Connect can also help you set specific fitness goals and better plan your workout schedule. Audio and vibration alerts let you know when it’s time to move after periods of prolonged inactivity, and the Vivofit can adapt to your activity levels to create personalized daily goals for you. Some enhancements that the Garmin Vivofit 2 has over the first-generation Vivofit include the addition of sound alerts, along with a much-needed backlit display that allows you to see your readout in the dark. The lack of these were the main issues we cited in our otherwise positive review of the original model. Thankfully, Garmin addressed this and added these features to the Vivofit 2 along with some other conveniences like automatic Bluetooth syncing, an activity timer, and a more secure wrist clasp. The Garmin Vivofit 2 normally costs around $85, but a 30 percent discount brings this popular activity tracker down to just $59 for the black, red, and pink models. If you’ve been eyeing a Vivofit 2 and waiting for a price drop, then now is a great time to score a deal on one.